Considering the entertainment industry as a major employment generator, Finance Minister Piyush Goyal has proposed two key provisions for the sector in the Interim Budget 2019 — a single-window clearance for filmmakers and anti-cam recording provisions to control piracy. The budget also laid emphasis on the new India by accelerating the Digital India programme to one lakh villages in the next five years. Industry experts hope the government’s continued commitment to Digital India would further increase digital content consumption in rural areas. BestMediaInfo.com asked industry experts on what they feel about the Interim Budget. 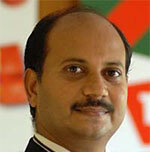 Girish Menon, Partner and Head, Media and Entertainment, KPMG, India, echoed similar views. “For the media and entertainment industry, the primary source of cheer was the launch of the single-window clearance for all requisite permissions for film shooting within the country. In addition, more stringent provisions to the Cinematography Act to combat privacy will help protect and strengthen IP within the industry. The budget also announced a reduction in GST on movie tickets of less than Rs100 from 18% to 12% and above Rs100 to 18% from December last year. The greatest impact on the media and entertainment industry is likely to be the continued push towards equitable and universal digitisation for Indians rather than from any direct incentive, coupled with the announcement of 1 lakh digital villages in the next five years, which will accelerate the digitisation process in the country,” he said. Krishna Rao, Sr. Category Head, Parle Products, said, "The budget reflects the government’s efforts to ensure India develops at a phenomenal pace. I would like to call it a ‘progressive budget’. The attention paid to welfare, health and other needs of farmers is commendable, considering how it gives fair recognition to the investments they make in their skill and labour. It will certainly help them in generating revenue. Moreover, the reduction in leakages and increase in transparency for the execution of various benefit schemes by the government is also a welcome move." Rao said from a consumer’s perspective, the increase in tax exemption limit, coupled with the increase in gratuity limit, will lead to more disposable income in the consumer’s hands. "Consequently, this means more consumption of consumer goods and services across the board, which will play a vital part in the growth of the economy. Overall, it is an all-encompassing budget that covers all sections of society, right from farmers to corporates and the middle-class and will lead to an upbeat nation in the coming months," he added. From January 2019, GST rate on film tickets costing less than Rs 100 was reduced to 12% from 18% and that on tickets costing more than Rs 100 was reduced to 18% from 28%. Sanghvi said the art and cultural champion services sector was positively recognised by the GST Council by reclassifying the entertainment service from the luxury and sin bracket of taxation to the standard rate schedule. Prashan Agarwal, CEO, Gaana, said, "We are extremely positive about the implication of the proposed budget and strongly believe in the digital revolution introduced by the government. The increased consumption of mobile data in the last five years has paved way for the streaming market in India. It will impact the mobile streaming industry in multiple ways, mainly by strengthening penetration in tier II and tier III markets while also increasing exposure among a new set of a potential user base. Enhancing stickiness for the app and encouraging trials, the vision for Digital India will help music streaming apps attain its full potential in the online music space. Additionally, artificial intelligence coupled with big data will help bridge the gap between demand and supply through insightful analysis of evolving consumer preferences."